So you’ve heard about slings and babywearing, and fancy giving it a bash. ‘OK’ you think, ‘off to mothercare we go’ and you trot off in search of a sling, only to be overwhelmed by a confusing selection of uncomfortable looking contraptions and untrained sales staff. 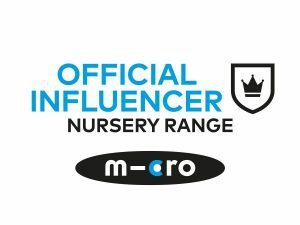 If you’re lucky, you might come away with one of the ergonomic carriers they stock, but if you’re not, you’ll end up with something that is uncomfortable for you and baby that puts you off babywearing forever. Or you might see a friend rocking a great looking sling, get one yourself, and then wonder why the hell you can’t get it to work while your friend trots around town hands free! There is a better, less stressful, and wholly more enjoyable way to find out which sling is best for you and your baby, and that’s by visiting a sling library. A sling library is usually run by either trained babywearing consultants and peer supporters, or by the local NCT branch. You can find a comprehensive list of sling libraries available in your area at www.slingpages.co.uk and UK Sling Libraries. At a sling library, they will have a wide selection of different slings and carriers and the knowledge to be able to teach you how to use them! You might have an idea of what you would like before you go, but I’d advise to keep an open mind. Very often parents can be set on one particular carrier but come away with something entirely different. The instructions make it all look very simple, but babies have minds of their own and having someone there to fit a carrier to you and your baby can make a huge difference. The consultants or peer supporters will also talk you through the TICKS guidelines, to ensure your baby is safe while you wear them. Every sling library runs differently, so it is worth contacting the organisers in advance to see what you need to do beforehand. Some will run on a first come, first served basis, some will offer 1 to 1 prebooked consultations, others will run group workshops. 99% of them will have tea, coffee and cake available! Check if you need to bring a small entry fee with you (often libraries will ask for a £1-3 donation to cover hall hire costs) and think about taking along your other half, mum or friend with you. Siblings are always welcome, and lots of sling libraries will have toys available. But if you are completely new to babywearing, there is a huge amount of information to take in, so if you can rope in some childcare it would be to your benefit. Hire fees vary, but average around the £10 for 4 weeks hire. Some libraries will require a deposit, others won’t but will need proof of identification. If you have a newborn, very often there will be a free stretchy wrap hire scheme – be sure to ask so you can have the correct money and information with you. Nothing worse having to get baby back in the car to run to the bank, or realising you don’t have your cheque book with you! If you’re tight for time, aren’t quite up to getting out of the house to a busy sling meet, or would like a private one to one consultation, then booking an appointment with a sling consultant is a good option. They may be able to come to you at home with a selection of slings, and can teach you anything from babywearing basics to advanced wrapping techniques depending on your experience. 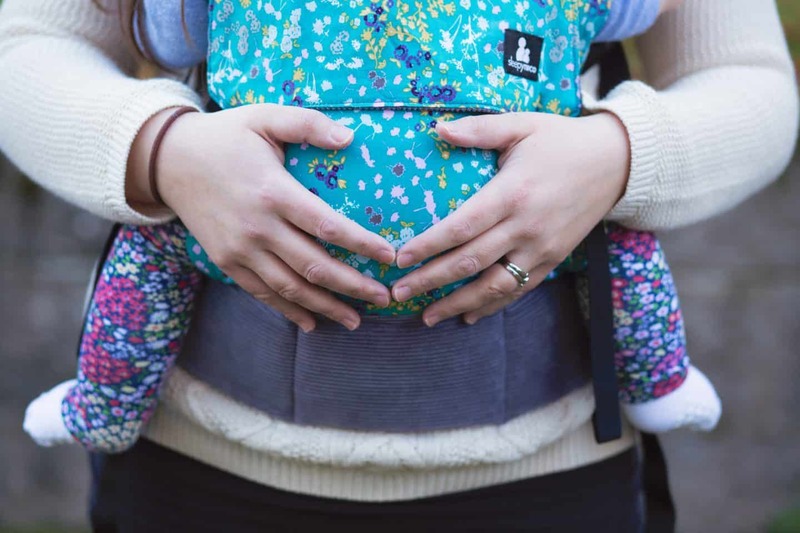 A sling consultant is highly trained, insured, and will have a wealth of knowledge ready to share with you so that you can start or continue your babywearing journey with ease. Babywearing is such a wonderful thing to do with your baby – give yourself the best chance and get in touch with your local sling library or consultant. You won’t regret it! 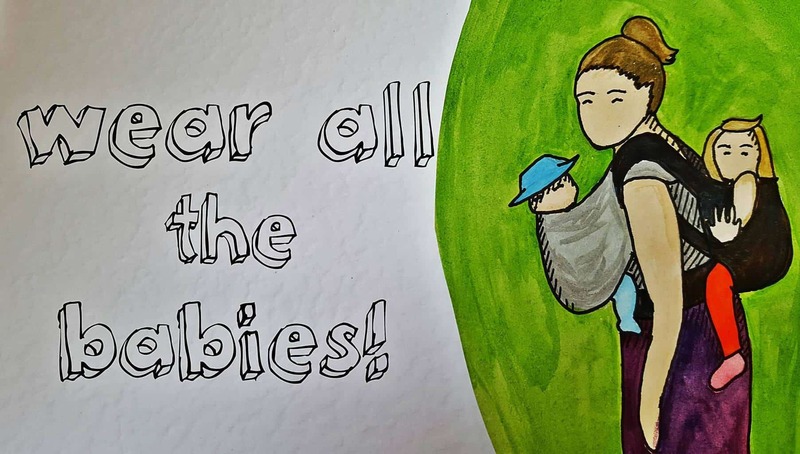 A huge thanks to The Mothers Room for writing this up for me as part of my babywearing series! It’s so helpful and as someone who has been overwhelmed with my first baby with the types of slings out there I know only too well how helpful a good consultant and well stocked sling library can be!